Deep pigments show up nicely on dark construction papers. 7'' length, 3.3 mm thick leads in assorted colors. Pre-sharpened, non-toxic. 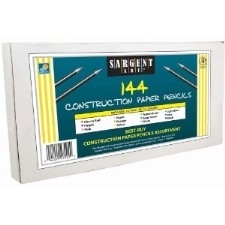 Box of 144 pencils.